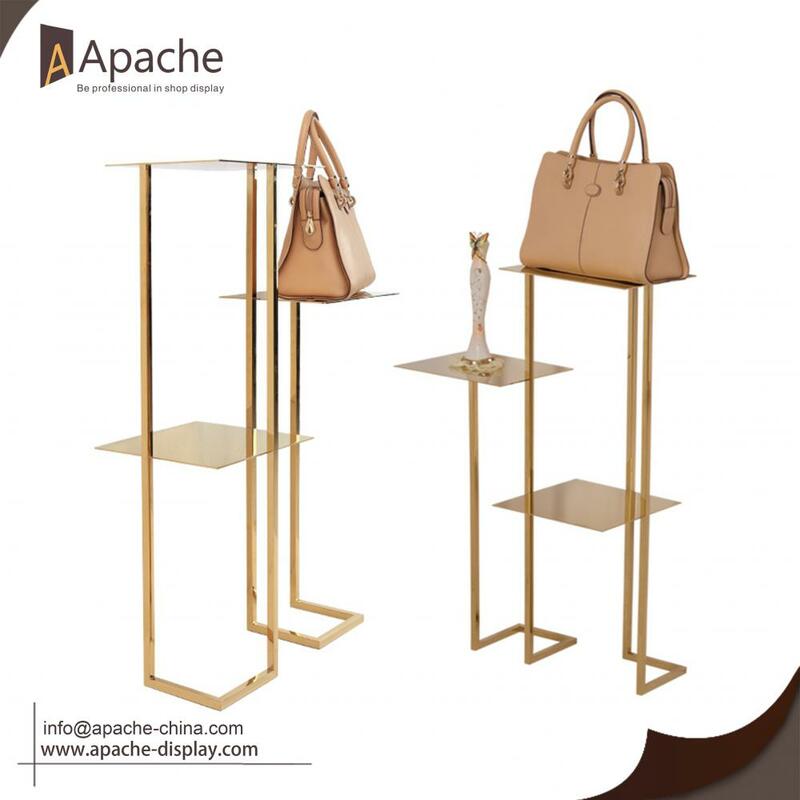 This Bag Shoes Display Stand For Clothing Shop can apply to Window Display and Shop Display, you can put selected bags, shoes or any other products on it. It is perfect weld and stamped edgefold, show perfect detaills. 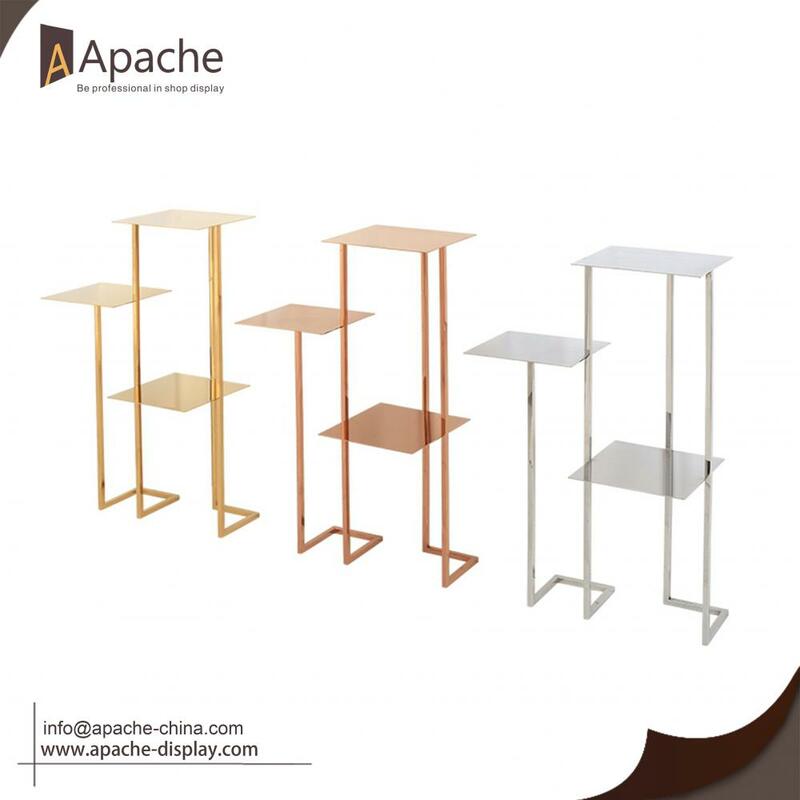 We provide Senior custom service, there are good designers for you to design any types display stand. All the details and materials can be customized. You can choose many kinds of surface treatment, such as bronze, brush, matt, etc to match the display environment. Don't hesitate to contact me if you need. 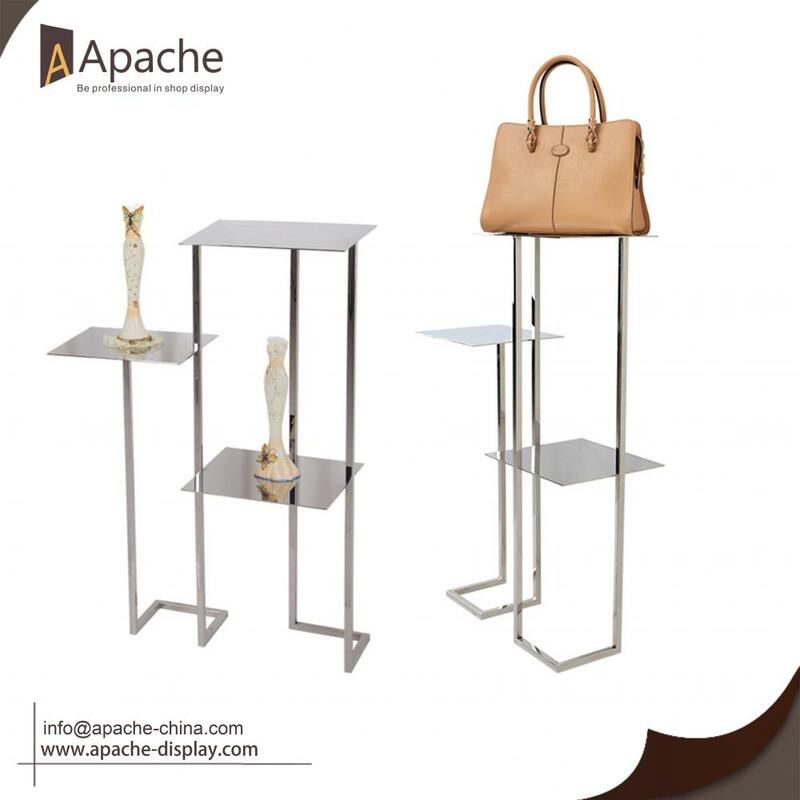 Looking for ideal Metal Shoes Display Stand Manufacturer & supplier ? We have a wide selection at great prices to help you get creative. 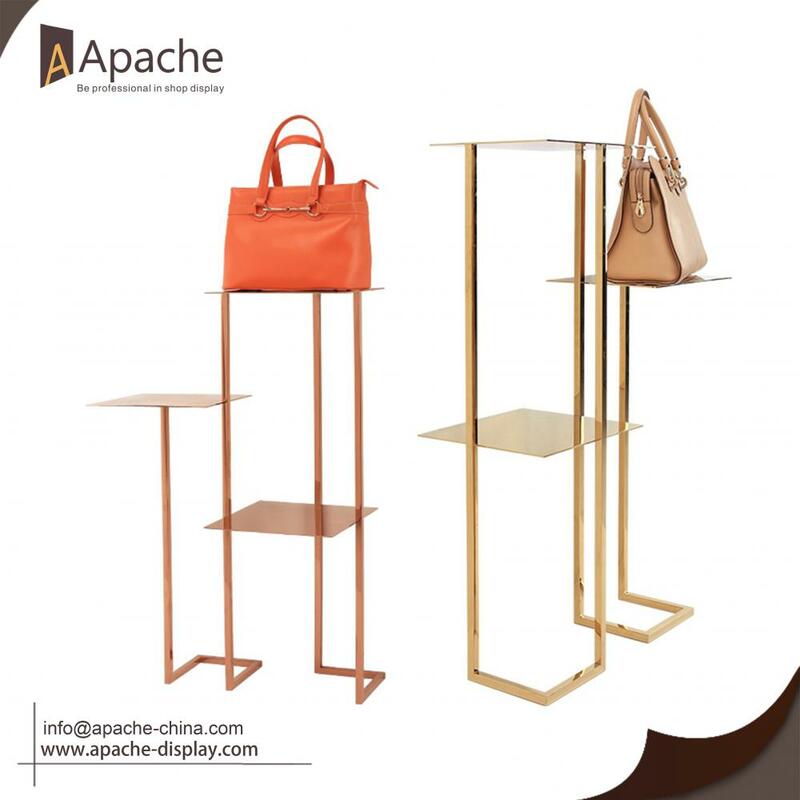 All the Metal Shoes Display Stand are quality guaranteed. We are China Origin Factory of Clothing Shop Display Stand. If you have any question, please feel free to contact us.